Whether you need windscreen repair or windscreen replacement in Casino, you can rely on the team at National Windscreens to provide a quality service at a competitive price. Offering mobile car window services across Casino, we’re also able to assist locals in Shannon Brook, Piora, Dobies Bight, Fairy Hill, Backmede, North Casino, Naughtons Gap, Spring Grove and Greenridge. In addition to providing services for standard cars, we also offer windscreen repair and replacement for trucks, buses and other types of light commercial vehicles. No matter what you drive, we can help with our emergency windscreen replacement and repair services. Why Turn to National Windscreens for Mobile Car Window Services? 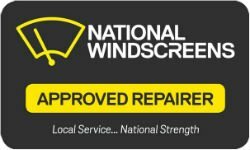 There’s no better choice than National Windscreens when you need windscreen repair and windscreen replacement in Casino or the surrounding areas of Shannon Brook, Piora, Dobies Bight, Fairy Hill, Backmede, North Casino, Naughtons Gap, Spring Grove and Greenridge. For mobile car window services when and where you need them, contact us today.